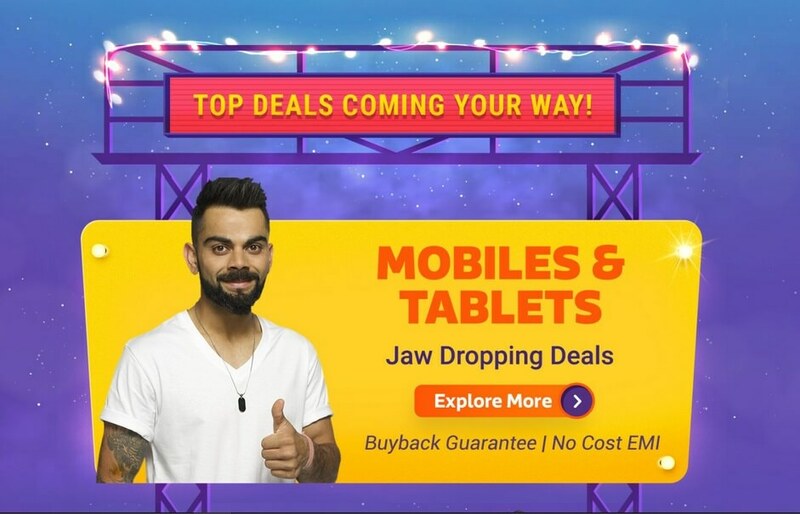 India's largest online retailer, Flipkart is all set to kick-start its annual festive sale - The Big Billion Day Sale will commence on October 10 and will continue till October 14. 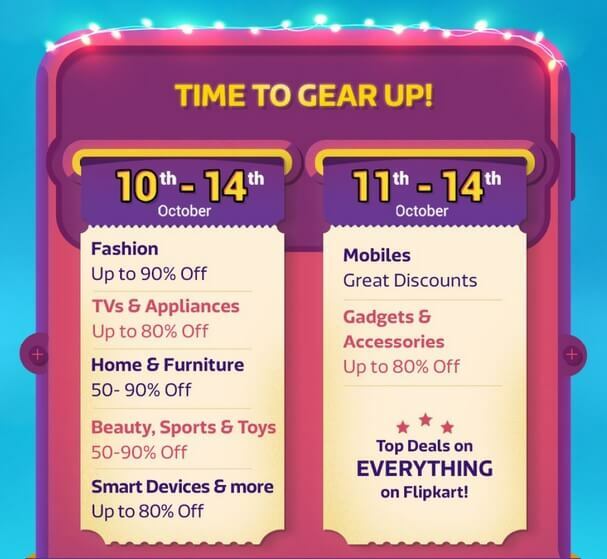 The Flipkart's Plus members will get an early access to its annual festive sale and sale will open up 3-hours early for Flipkart Plus members at 9pm on October 9. 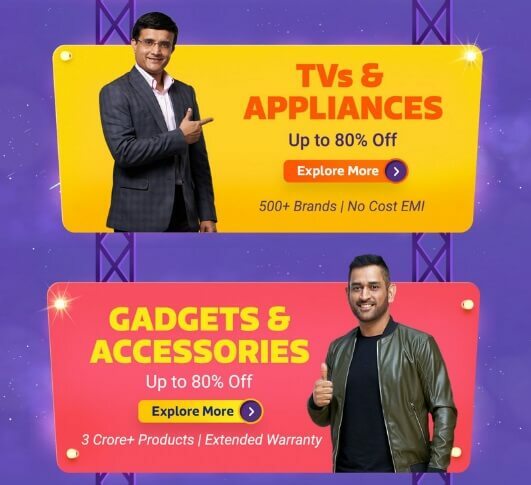 The Flipkart Big Billion Days Sale will offer exciting deals and discount offers on smartphones, home appliances, heavy appliances, home decor, furniture, personal care appliances, smart devices, gadgets. Flipkart will also offer zero-interest EMIs options, Flipkart Pay Later, cardless credit and EMIs on debit cards to its buyers. 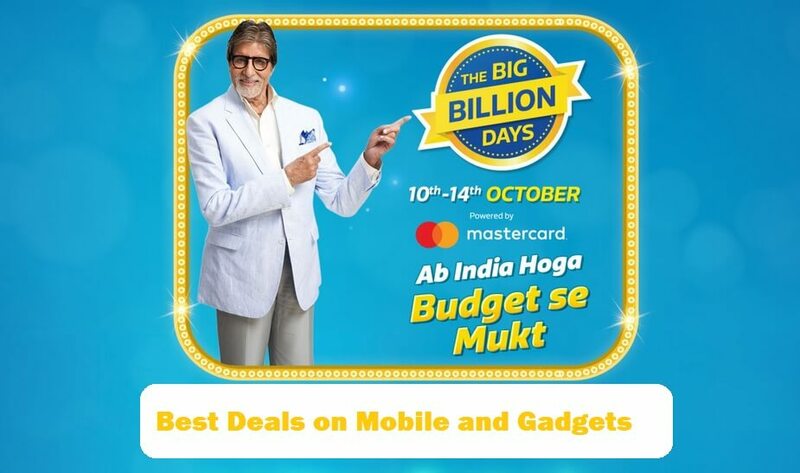 The Big Billion Days sale is mainly divided into two parts - The deals on fashion, TV & applications, Furniture, Beauty, Sports etc, will go live from October 10 to October 14. While the sale on Mobiles and Gadgets will go live from October 11 to October 14. During Big Billion Days sale, the PhonePe users can avail 10 percent cashback while making payment through their PhonePe account. The Flipkart has also rolled out exclusive offers for HDFC Bank debit or credit card holders. Apart from amazing deals and discount offers, Flipkart app users can win exciting prizes like Google home, smartphones, televisions, Bluetooth speakers, headphones and Flipkart gift vouchers by participating in the Quiz to be hosted twice every day. Here we have put together a small guide to help you make the most out of the Flipkart Big Billion Days 2018. Xiaomi’s Mi Mix 2 smartphone will be available at a discounted price of Rs 22,999 (MRP Rs 29,999). The device is powered with Snapdragon 835 Soc, coupled with 6GB RAM and 128GB storage option and features a 5.99-inch full-screen display. Redmi Note 5 Pro will retail at a discounted price of Rs. 12,999 (MRP RS.14,999). The Redmi Note 5 pro features a 5.99 Inch Full HD display and is powered with Qualcomm Snapdragon Soc, along with 4GB RAM and 64 GB internal memory. The Vivo V9 Youth will witness a great price cut and will be available at Rs. 13,990 (MRP Rs. 19,990). 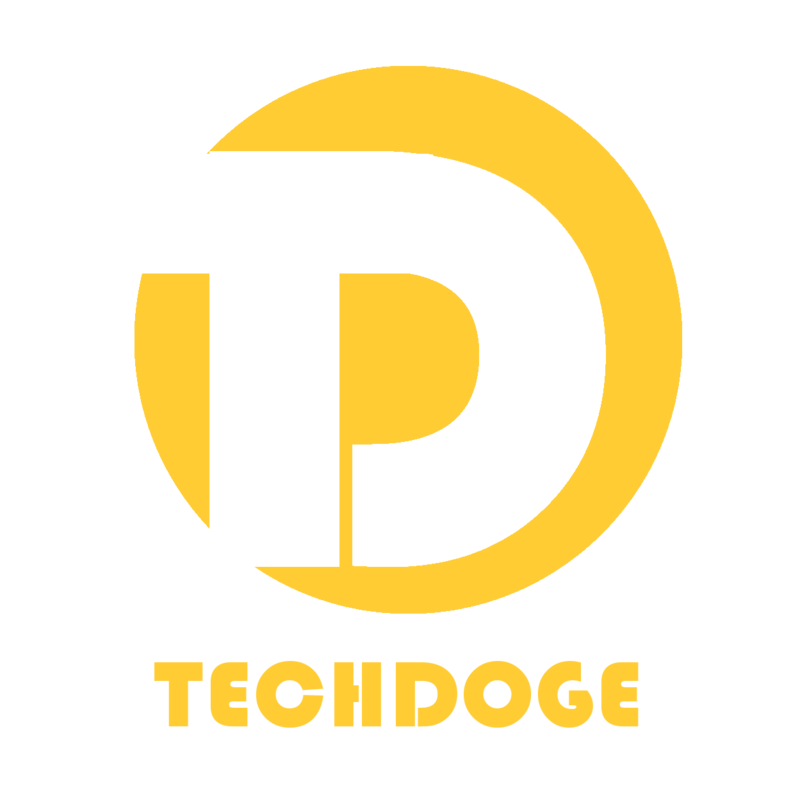 The device features a 6.30-inch IPS LCD display and runs Snapdragon 450 chipset, coupled with 4 GB RAM and 32 GB internal storage. The Nokia 5.1 Plus will be available at a discounted price of Rs. 10,499 (MRP Rs. 13,199).The Nokia 5.1 plus comes with a 5.86-inch HD+ display and is powered with 1.8GHz octa-core processor alongside 3GB of RAM and 32GB of internal storage. While the Nokia 6.1 Plus will come at a discounted price of Rs. 14,999 (MRP Rs. 17,600). The Nokia 6.1 plus is powered with Qualcomm Snapdragon 636, coupled with 4GB of RAM and 64 GB internal storage. The Mid-range ZenFone Max Pro M1 will see a discount of Rs 1,000 and will be available at Rs. 9,999 (MRP Rs. 10,999), while Asus's premium smartphone Zenfone 5Z will feature a steep discount of Rs 5,000 and will be available at Rs 24,999 (MRP Rs 29,999). Apart from smartphones, Flipkart will offer discounts on Mi Smart TVs along with televisions under brands such as VU, Kodak, Thomson, Samsung and Micromax. On TVs and applications, Flipkart will offer a discount of upto 80% off.